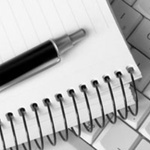 Freelance writer, journalist, proofreader and designer. Specialising in copywriting, articles, blogs, news, features, website content, SEO, press releases, promotional and advertising...Read moreFreelance writer, journalist, proofreader and designer. Specialising in copywriting, articles, blogs, news, features, website content, SEO, press releases, promotional and advertising materials and social media work. Design work includes brochures and magazines, leaflets and flyers, business cards, logos and advertising. Particular expertise lies in online content with over 20 years of experience as a reporter and journalist for newspapers, agencies, magazine and websites. James is always on time with his copy and is a gifted writer. His material does not require heavy editing and his content ideas are spot on. We have been working with James for over a year and would definitely recommend him to anyone. Good and quality work! Thanks! A superb job as always. I'm sorry you feel the relationship didn't work out. Thanks for the feedback, although it was more than two years ago since the job was completed! Articles covering the most popular bars and nightclubs in any major UK town or city.